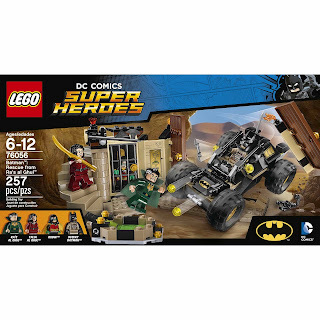 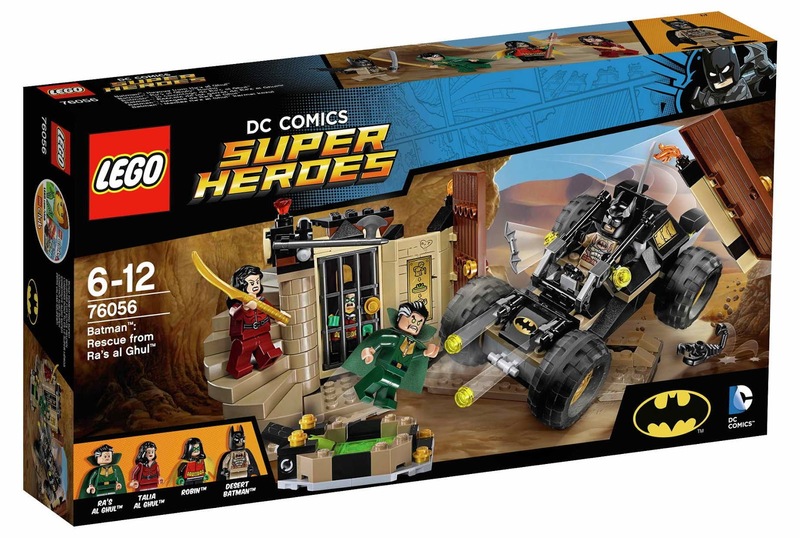 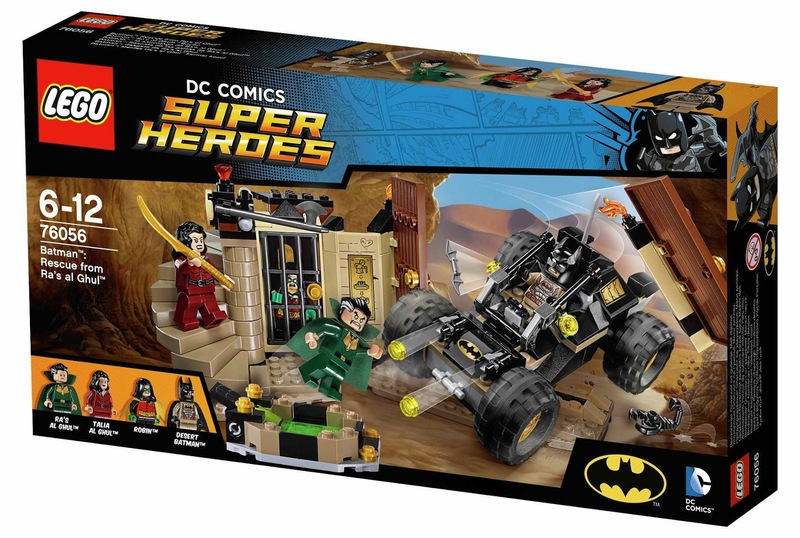 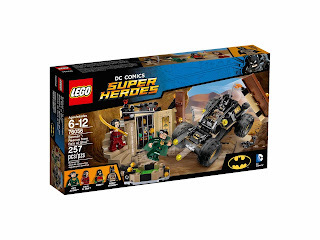 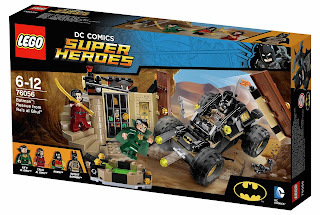 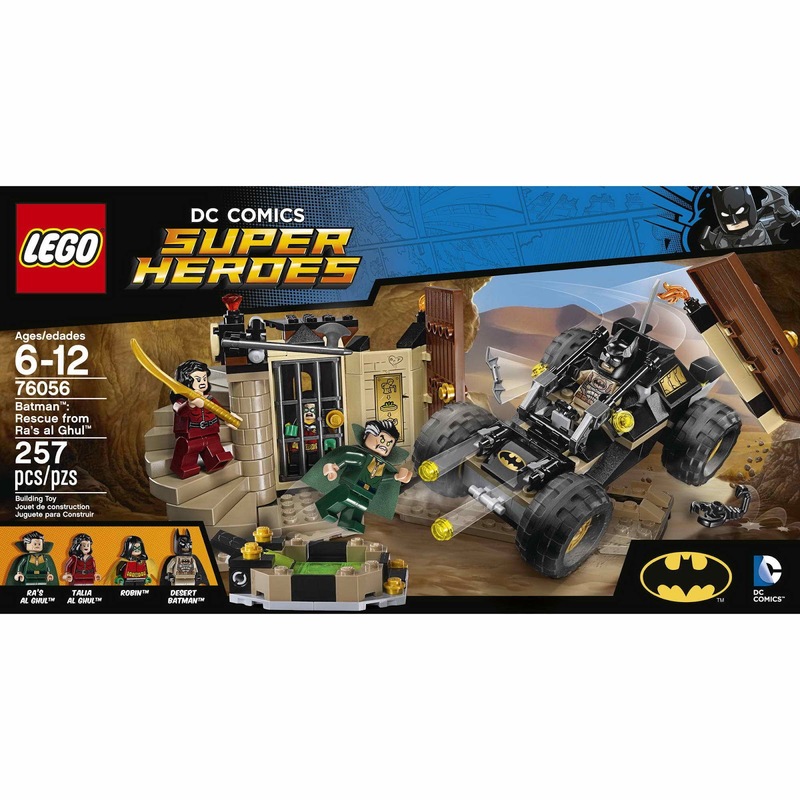 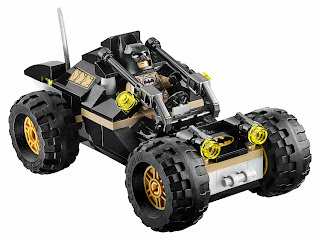 come with ra's al ghul's secret headquarters and a desert batman's buggy. 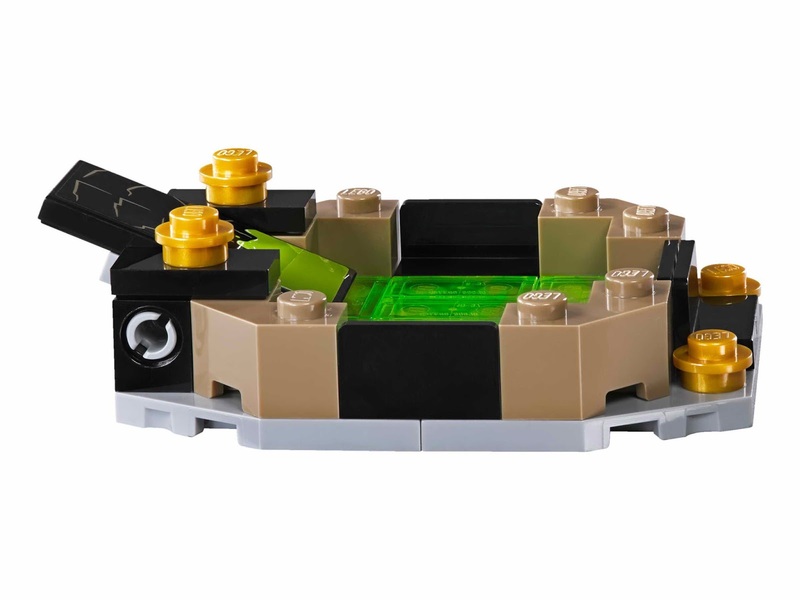 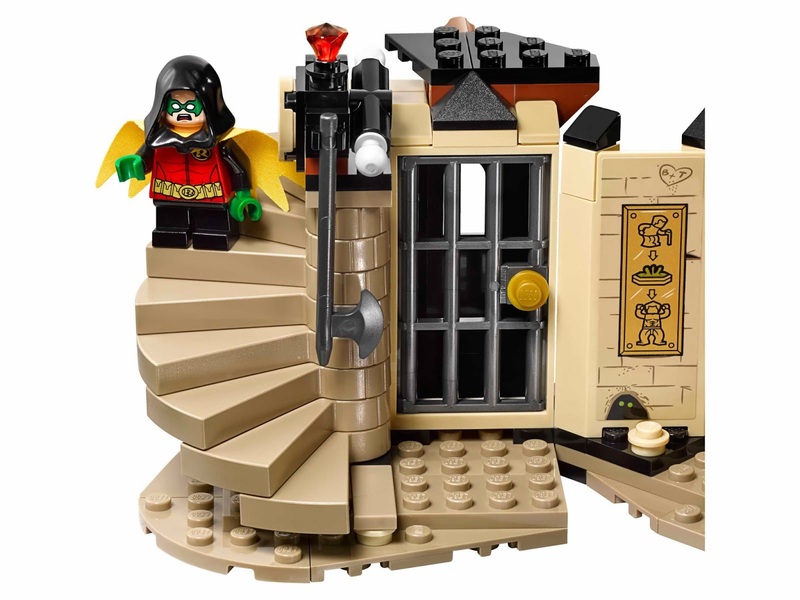 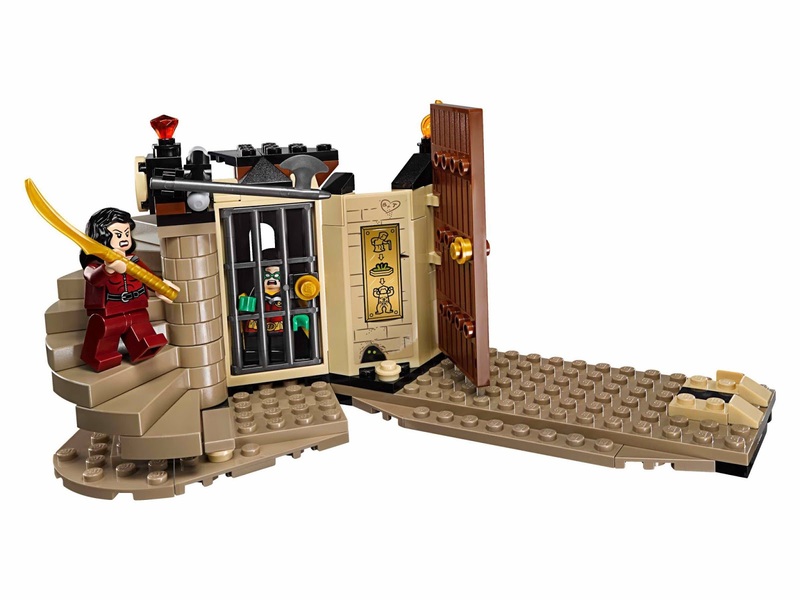 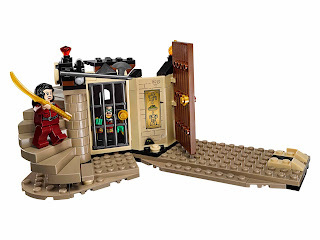 the headquarters has 2 openble gates, a windable staircase, a lever operated swingable axe trap, a lazarus pit area, a ra's al ghul catapult and an explodable door prison cell. 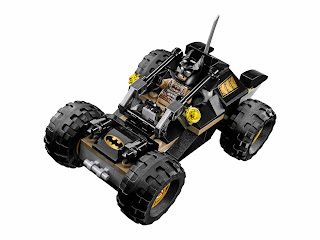 the buggy has 2 stud shooters and weapon holders for desert batman's batarang and sword. 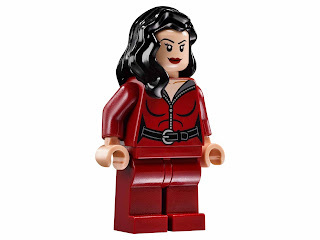 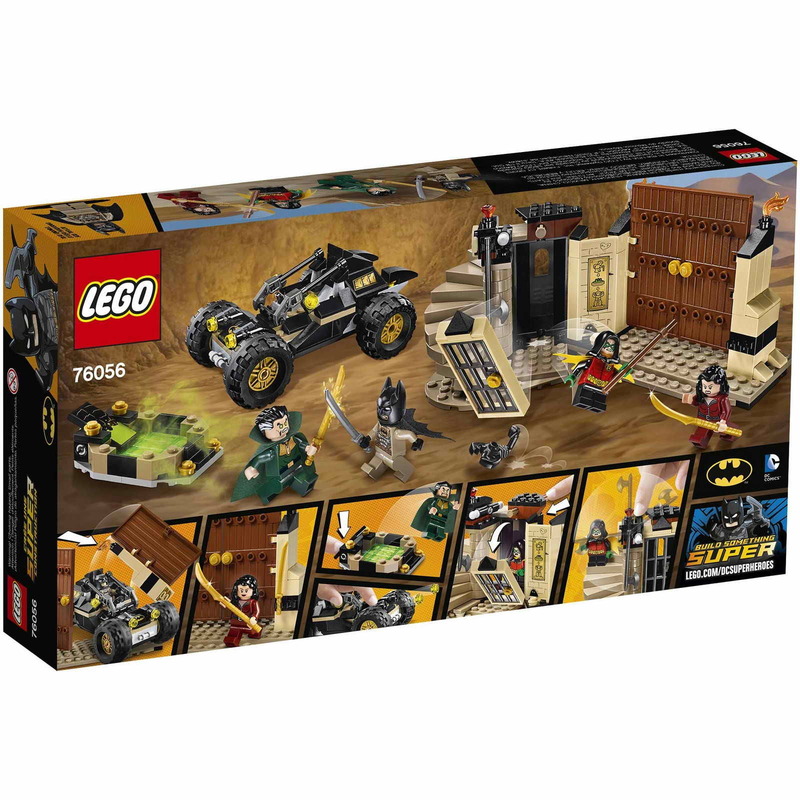 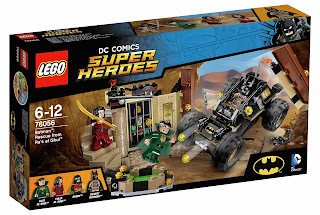 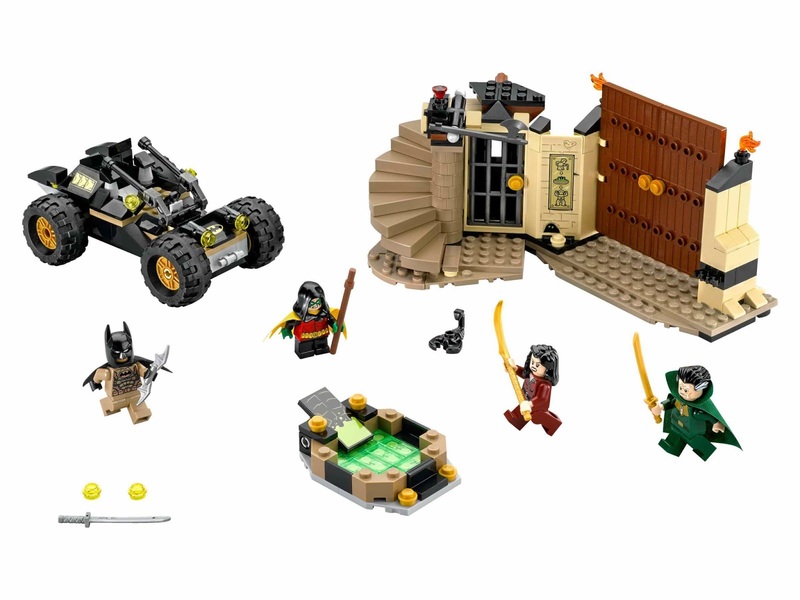 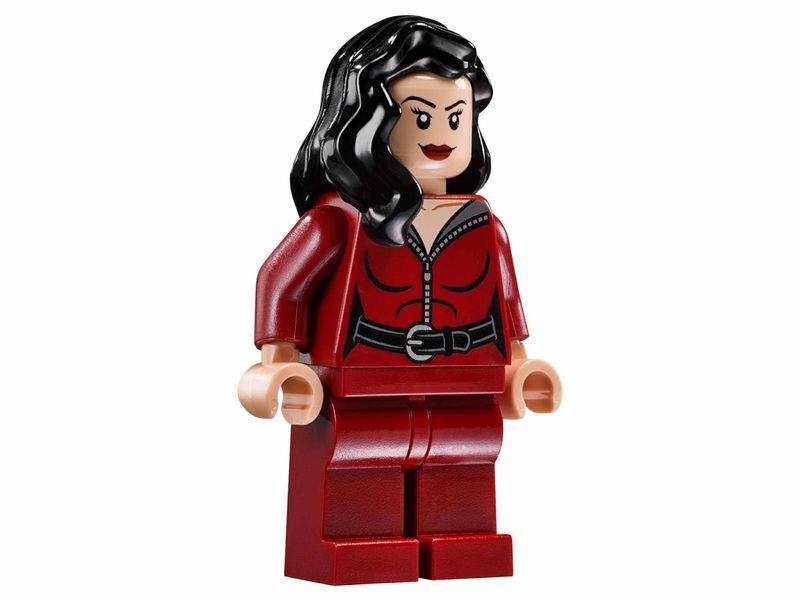 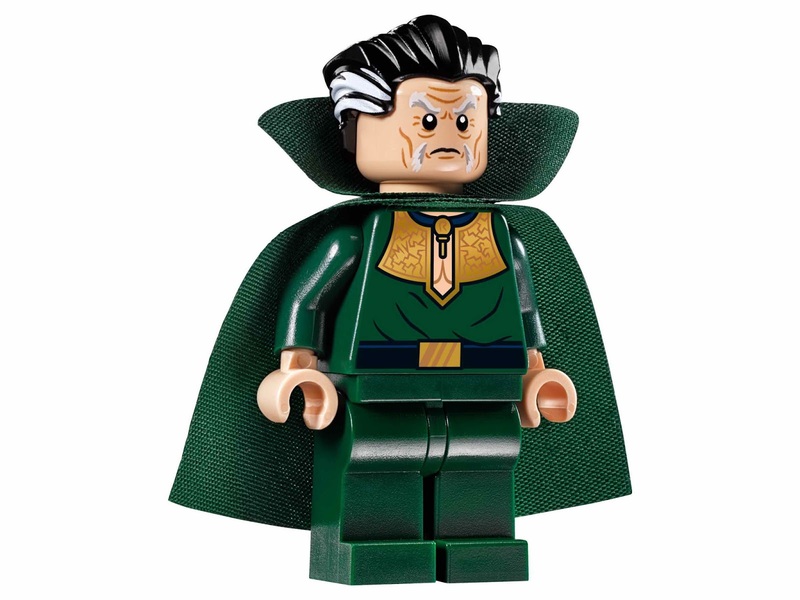 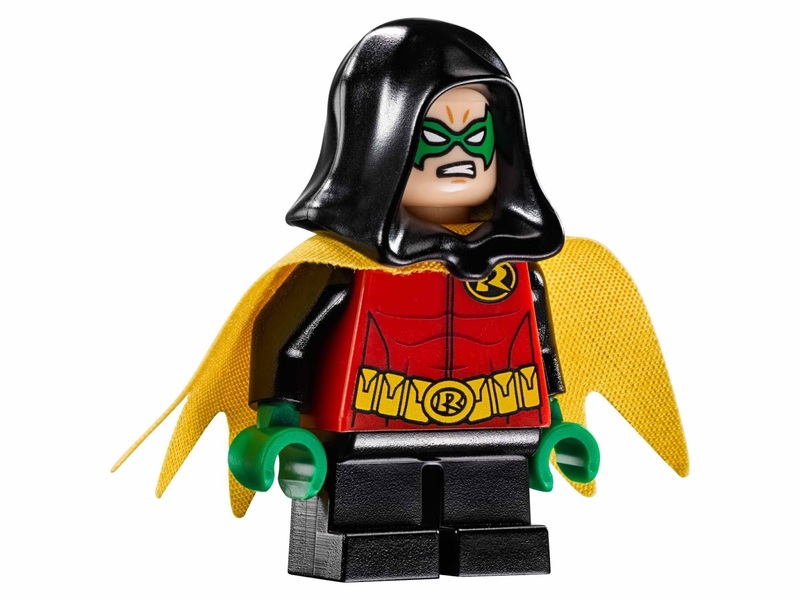 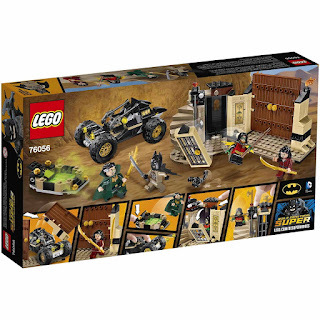 minifigs included a desert batman minifig, a ra's al ghul minifig, a robin minifig and a talia al ghul minifig.